At risk of sounding like a crotchety old lady, horror games just aren’t what they used to be. Too often, games like Five Nights at Freddy’s (and its many clones) rely on cheap jumpscares to thrill players. I had been pining for a game that would make me dread every long, dark hallway and think twice about rounding the next corner. Then I found The Crow’s Eye. Fans of games like Myst and Amnesia: The Dark Descent will find plenty to love about this game; it being more of a puzzle-platformer with a creepy atmosphere than a full-on horror title. 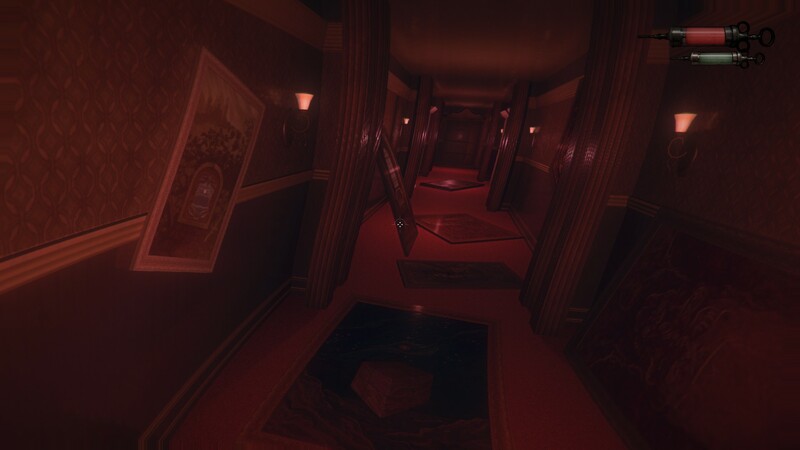 It also draws from games like Slenderman and Bioshock to develop a great alternative, mid-century aesthetic and create a slow-burning sense of foreboding and dread. I’ll be upfront with you and let you know I can count on one hand the number of major jumpscares in this game. However, the first one is a doozy and puts you on edge for the rest of the game. The Crow’s Eye begins with the player waking up in an abandoned university, tasked with investigating the disappearances of faculty and staff some 20 years prior. Players can carry up to 16 unique items in their inventory, with the ability to hotkey four of them. During my playthrough though, I never carried more than my hotkey items, and my inventory never really got very full. Players get a zippo lighter in the very beginning to help illuminate their surroundings. It doesn’t help much, but it adds to the aesthetic. It also never runs out, so players don’t have to worry about finding fuel or having it extinguish during a critical moment. There’s also a simple crafting mechanic which allows players to make bandages for restoring health, maps of the current area and puzzle-specific items like lockpicks. The game is pretty generous with bandage-making supplies, and there are few instances for players to lose significant amounts of health. Players only take damage if they fall from very high platforms or into danger zones such as poisoned water. Even if players do fall, the game spawns you on the very platform from which you just fell, so no real progress is lost or any real punishment meted out for failure. Later in the game, players are given a syringe of adrenaline which, when activated, slows time and allows you to make difficult jumps. 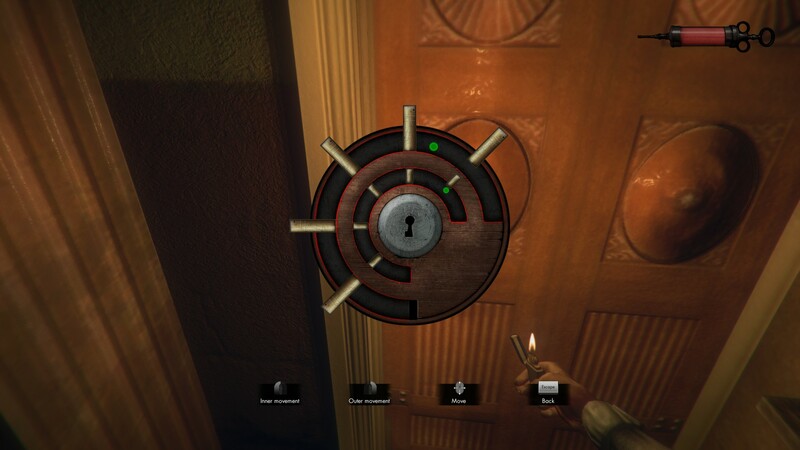 The influence Bioshock and Amnesia both had on this game become more apparent as players piece together the plot from audiologs, journal entries and interjections from a character named William Holtwick. Holtwick is far and away my favorite part of this game. The voiceactor seems to have channeled Mark Hamill’s Joker from Batman: The Animated Series. The intonation can be grating at times, but it gives weight to the creeping unease and doubt. Hearing his maniacal laughter punctuated with radio static while playing alone, in the dark, with noise canceling headphones made the hair on the back of my neck raise more than once. The puzzles players are made to solve range from simplistic lockpicking sequences to challenging block sliders and timed platforming. They’re all designed very well and have a proportionate difficulty and learning curve as players progress through the game. Some puzzles, like moving blocks to form a picture, are re-used a few times; but to keep things interesting, new challenges are presented each time. This forces players to slow down and think carefully and deliberately on how they will find the solution. The only gripe I have about the puzzle sections is that I wish they had some sort of resetting mechanism other than loading from a previous save. There were a few times I had become hopelessly stuck and had to reload or exit the game entirely to reset the puzzle. While I am in love with the fact that The Crow’s Eye is an excellent lesson in atmospheric creepiness and the slow building of tension, I wish there had been more to break it up. It feels like there should be a few more jumpscares or a chase scene; something to kill my momentum and force me to adapt. Players who are presented with a seemingly endless build-up may eventually grow bored or lose the sense of danger. We’re given glimpses of monstrous experiments and the darker side of human nature through journal entries and audiologs, but an actual monster to encounter would ground the terror the writers were working to create. All in all, The Crow’s Eye is an enjoyable game which leaves very few boxes on my scary game wishlist unchecked. For a modest price of $14.99, it’s worth at least one playthrough. Who knows, it may just make you pause the next time you have to turn the hall light out before bed.